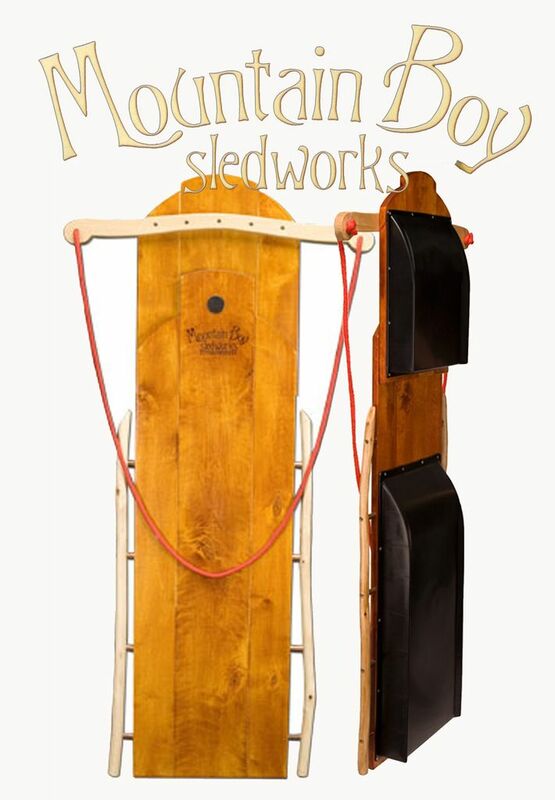 This beautiful expression of the art of sledbuilding is the Ultimate Flyer. Really. Yes. It is that good. 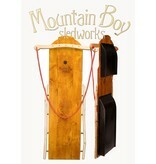 This is a large claim to live up to, but we think this Mountain Boy design does it very well. The Ultimate Flyer take a base of handcarved beech planking and adds some hand carved willow siderails with copper pipe stand offs for extra strength. Then the sledbuilders added a steerable front end giving incredible control on all snow surfaces. Finally, the finishing touch is a super slippery snowfloat base that gives superb sliding performance on both soft and hard snow. The Ultimate Flyer IS quite expensive! But, for a handbuilt sled that gives everything on the hill a really good thrashing, we think its sheer awesomeness is well worth every penny. This will last for ages with the occasional This beautiful expression of the art of sledbuilding is the Ultimate Flyer. Really. Yes. It is that good. This is a large claim to live up to, but we think this Mountain Boy design does it very well. The Ultimate Flyer take a base of handcarved beech planking and adds some hand carved willow siderails with copper pipe stand offs for extra strength. Then the sledbuilders added a steerable front end giving incredible control on all snow surfaces. Finally, the finishing touch is a super slippery snowfloat base that gives superb sliding performance on both soft and hard snow. The Ultimate Flyer IS quite expensive! But, for a handbuilt sled that gives everything on the hill a really good thrashing, we think its sheer awesomeness is well worth every penny. This will last for ages with the occasional coat of varnish!